See me; rent me – have ball! 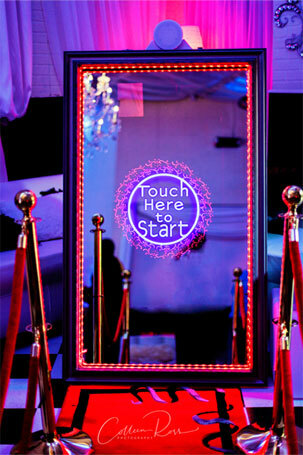 Our magic mirror photobooth will keep your guests entertained for hours with fun animations and interactions. It’s perfect for any type of party or event. And, it makes a great addition to weddings, replacing the traditional wedding photo booth with an interactive option that allows guests to also create personalized messages and well wishes to the bride and groom.